Apple co-founder Steve Wozniak thinks the upcoming 'Steve Jobs' biopic does a great job capturing his complicated former business partner. 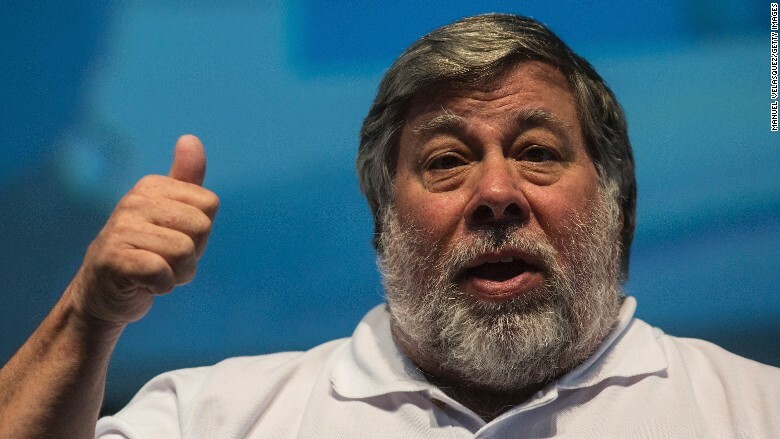 "It is a stellar inspection that is unlike any other movie about Jobs," Wozniak told CNNMoney. "The quality of production is equal to the quality that Jobs himself sought in products." The movie, based on Walter Isaacson's biography and first-person interviews about Jobs, takes a close look at the former Apple (AAPL) CEO's personal relationships. Wozniak noted that the angle writer Aaron Sorkin and director Danny Boyle took in the film shows a different side of Jobs that many are unfamiliar with. "Jobs is often seen in videos and photos, but all of those are with press or at events," Wozniak said. "There really are no videos to give us an idea of his dealings with people close to him. We hear stories, some good and many bad, but we don't know what it was really like. This movie looks into that portrayal of Steve Jobs." When asked whether the movie portrayed Apple's founding story well, Wozniak said that really wasn't really the focus of the film. 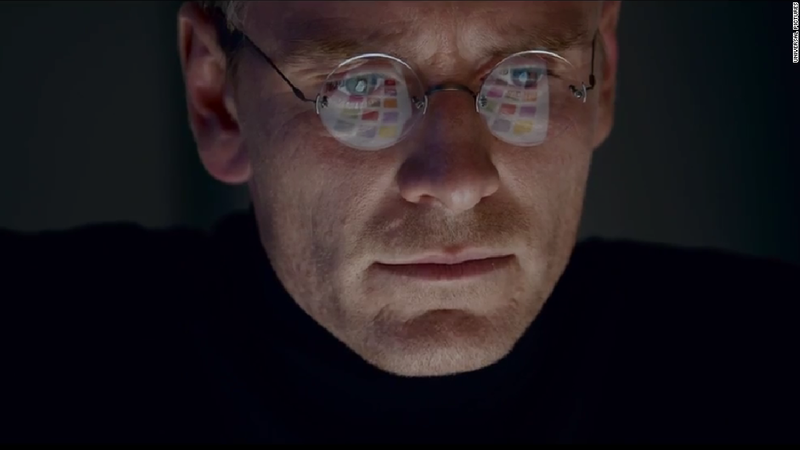 "This movie is not about the history of Apple; it is about Steve Jobs' personality," he said. Wozniak also waved off a question about whether the film accurately depicted Jobs, as compared to a Jobs documentary just released by director Alex Gibney. The documentary, "Steve Jobs: The Man in the Machine," portrays Jobs as a temperamental genius who was rude and disparaging to his colleagues. Apple executive Eddy Cue derided the film on Twitter, calling it "an inaccurate and mean-spirited view of my friend." Wozniak said he has not yet seen the Gibney documentary, though he has "heard from several people who have seen it, and they have all said that it matches their dealings with Jobs." Though many have said Jobs could be difficult, Wozniak said he never found Jobs to be that way. "I have read that it deals with a lot of his unkind personality, but he basically never exhibited that towards me, at least not directly," Wozniak added. As for the biopic's ability to capture Steve Jobs' personality, "The viewer can draw many conclusions," Wozniak said. "I predict that the masses will like the Danny Boyle movie very much, or will at least acknowledge it as a good movie, for what it is." The film, starring Michael Fassbender as Steve Jobs and Seth Rogen as Wozniak, premiered at the Telluride Film Festival in Colorado over Labor Day weekend. The movie will debut in theaters nationwide on October 9.